Are you tired of wasting your money on such cosmetics that fail to give you the perfect flawless skin? Is your skin type troubling you? Do you have a lot of acne and pimple marks and you are tired of trying one cream after another to no avail? If the answer to any of the above question is yes, you should learn how to make your own homemade packs as they are sure to turn out to be effective in helping you get the perfect skin. The main role of a cleanser is to clean your face properly and get the right glow. If you have a habit of wearing makeup, you should make it a point to wash your face with a cleanser after getting back home as it will help you in protecting your skin. Even those who do not wear make up need to wash their face regularly with a cleanser as it will wipe off the unwanted dirt from the face and give you a beautiful glow. How to Make Homemade Cleansers? There are a lot of natural ingredients that can come in handy when you are looking to make an effective cleanser. Simply following the instructions will ensure that you will have an effective paste that will thoroughly cleanse your face and it will clean the pores and excess sebum secretion as well. If you are looking to make a generic cleanser that does not cater to any specific skin type, follow these simple instructions. 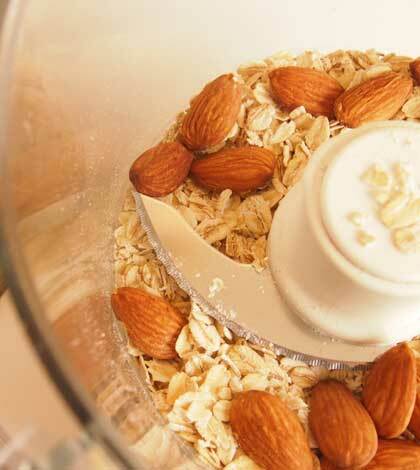 Take a few ground almonds and grind them evenly. Pour the paste in a cup until it fills 1/8th of the volume. To this paste, add 2 teaspoons of milk and 1 teaspoon of lemon juice. Mix it uniformly and make a paste. Apply it to your face and leave it to dry. Wash off the paste with warm water. It is an effective cleanser and the moment you wash off your face, you will spot a warm glow appear on your skin. If you have a dry skin, a cleanser is recommended for use. Honey is one of the best natural ingredients that act as a natural moisturizer. It is ideal for dry skin and will work on the skin cells and moisturize it. If you want to make a homemade cleanser for dry skin, you should mix a tablespoon each of honey, oat and cream. Honey is also an effective ingredient as it nourishes the skin and leaves a smooth moisturized feel to it. Plain yogurt contains protein, lactic acid and fat. All these ingredients detoxify and cleanse your skin thoroughly. Lemon yogurt cleanser can help you moisturize your skin. It is easy to make as all you need to do is mix 1 teaspoon of yogurt to one teaspoon of lemon juice. You can also add a few drops of oil so that you can have a pleasing scent which is not repugnant. You should apply it gently and make small circles on your face. Leave it for a couple of minutes and rinse it off with lukewarm water. It will help in cleaning your skin and will exfoliate the blocked pores. If you are prepared to mix various ingredients and have an extremely effective cleanser that will nourish your skin thoroughly, implement the following steps. Chamomile tea is known for its anti inflammatory properties and you need to use ¼ cup of this tea. To this tea, pour 1/4th cup of liquid castile soap. To this paste, you need to add ¾ tea spoon of the following elements each. Mix it uniformly and add 8 drops of essential oil. Vitamin E is an effective natural ingredient and you can add a few drops of vitamin E oil to the paste. This is one of the best cleansers that can be used for all types of skin. So, if you want a natural solution for cleaning your skin, any of the above homemade remedies will help you out.